You’re going to be spending the rest of your life with your loved one. Why don’t you go to the marriage with another loved one? Whether it’s your Harley Davidson or Yamaha, bring your friends in baraat on their bikes. Now, that is one of the coolest wedding entry ideas for Indian grooms I’ve ever come across! 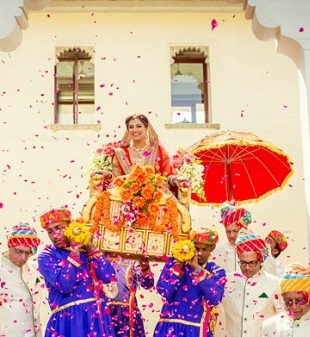 Take the desi scale to a whole new level and enter your wedding on a tractor. If you want to remain desi in every way and want your marriage to be the talk of the town, you don’t want to overlook this idea. It doesn’t get grander than this. Book your own helicopter and land right at the wedding venue. This takes the wedding to a whole new level of grandeur altogether. 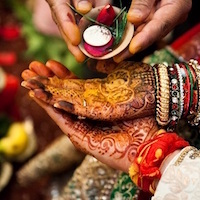 Show off your swagger and follow on of the best wedding entry ideas for Indian grooms. Not the bike kinda guy? Not the guy who would want to ride an animal either? Still, want the idea to be new and different? Well, you sound to be the sort of person who would love to make your grand entry in a vintage car. It remains a comfortable journey and at the same time, makes it new and grand! Obviously, this option depends a lot on the venue of your wedding, but if there a path through some water body, then why not! Get on a boat, and row your way to your wedding. A nice scenic view to start your big moment is never a bad idea. It’s not like the car goes any faster with the entire baraat anyway. Going on a Rickshaw gives the whole entry a more desi and fresh look, and keeps everyone amused and interested! 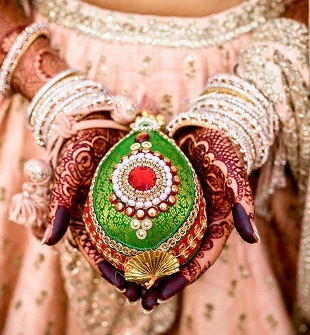 It’s not the most conventional way, but it sure would make for one of the best wedding entry ideas for Indian grooms. Yes way! This is a very new approach to wedding entries and has barely ever been done before. But the whole idea of it is very new, creative, fresh and absolutely brilliant. Of course, you may have to learn how to ride a Segway but once you do, it is one of the most different wedding entry ideas for Indian grooms. Make the biggest entry to your wedding by coming on a decked up Jhanki. Yes, we’re talking about a tableau that is so commonly seen in parades. Decorate it up in the most desi way possible and get on aboard. Love animals? Want a little adventure? 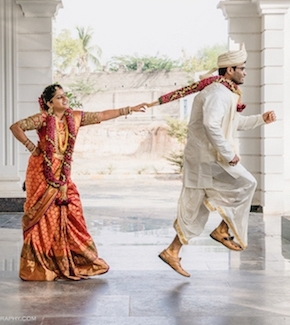 Well, here’s one of the best wedding entry ideas for Indian grooms that’ll give you both. A ride on an elephant to make one of the grandest entries! It doesn’t get more adventurous than this. And if you can, it’s not a bad idea to make your entry with your friends and relatives with a choreographed dance. It not only gives the whole entry an exciting outlook, it also makes sure that you have everyone’s attention from the very start. So, shake your leg and get married! Those are some of the most magical wedding entry ideas for Indian grooms that we could come up with. Are we missing something? Let us know through your comments!